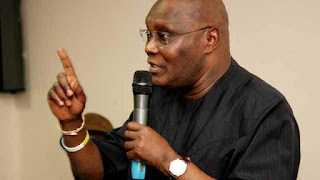 The Presidential Candidate of the Peoples Democratic Party, PDP, Atiku Abubakar, has reacted to claims by Vice-President Yemi Osinbajo that there was a gang-up by the elites to discredit President Muhammadu Buhari ahead of the 2019 elections. He insisted that there was no gang-up against the President anywhere but that his (Buhari’s) inability to maintain the team that brought him to power in 2015 was his major problem going into the next general elections. Osita Chidoka, spokesman of the PDP presidential campaign council, made this known yesterday when he appeared on Channels TV’s Politics Today. He said the fact that hundreds of aides and supporters to several APC governors were leaving the ruling party on the eve of the 2019 polls showed that President Buhari’s main problem was rooted in his own failures to unite and hold his party men together and not on any gang-up as alleged by the VP. His words: “There’s no gang-up against President Buhari. What has happened is that the President has destroyed the coalition that brought him to power. “The APC is a very divisive party and because of the divisiveness anchored on gross incompetence, the winning coalition that brought him (Buhari) to power could not be maintained. The coalition has fallen apart. “Is it gang-up that APC members in Imo state have decamped to another party? Is it gang-up by anybody that Zamfara state APC members have moved to another party? In Ogun state, the members (of APC) and aides of the governor have moved to another party. “APC was a special purpose vehicle designed to wrestle power out of the PDP. That goal was achieved but he (Buhari) was incapable of transforming the special purpose vehicle into a governing coalition.